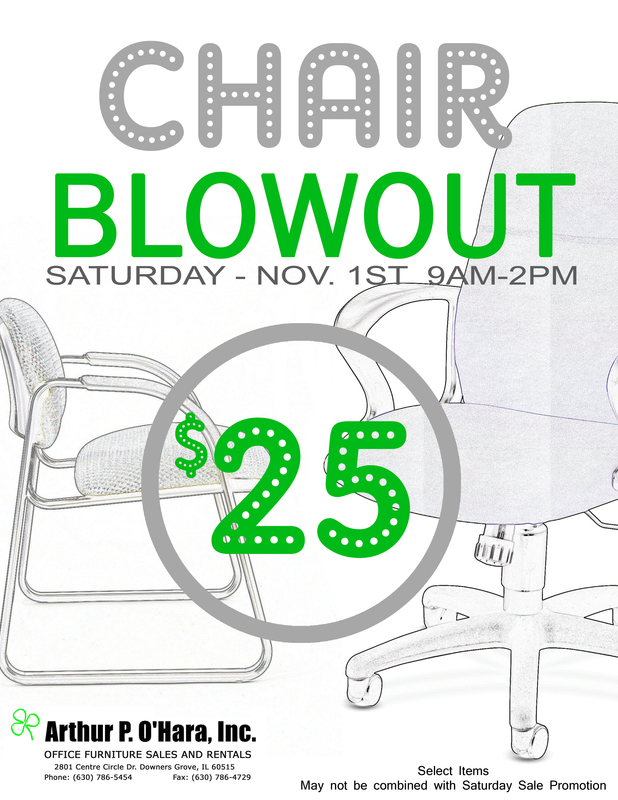 Next Saturday Sale, we will be clearancing out some of our used chair inventory. 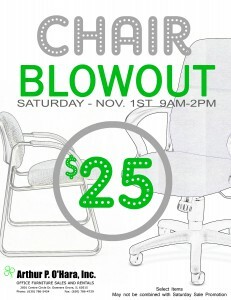 Choose from a mix of task or guest chairs for just $25 per chair! This deal may not be used in conjunction with our monthly Saturday Sale promotion.